Automattic has taken over a majority stake in Pressable, the managed WordPress hosting company, with a purchase of Pressable CEO Vid Luther’s shares of the company. They were already a significant investor. 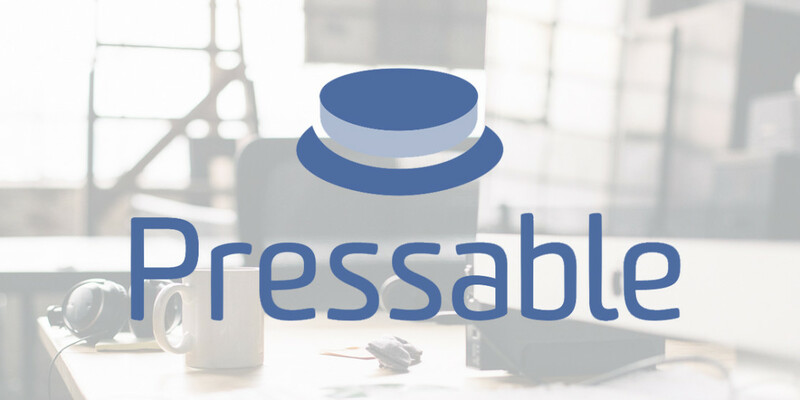 Automattic has purchased a majority stake in Pressable, one of the earliest managed WordPress hosting companies, founded in 2010. They were first known as ZippyKid, and rebranded in 2013. Automattic was already a shareholder in Pressable, most recently as the primary investor of a $1.5 million round in April of 2015. Technically, Automattic purchased common stock shares from Vid Luther, the CEO of Pressable. The monetary value of that common stock was, “enough to be debt free,” according to Vid. He owned about 37% of the company, or 4.5 million shares of 7 million shares of common stock (versus preferred shares). The company has also been in debt, reportedly close to $1 million worth. Automattic is now the majority owner of Pressable, and since Vid sold his shares, this is effectively an acquisition, and Automattic will be able to set the direction of the company from now on. Chris Lauzon, a Happiness Engineer at Automattic, is the interim CEO. There are other smaller investors in Pressable whom maintain their shares in the company, and it’s unknown what those investors will do. When I confirmed the exit with Vid, he said, “This is the best thing that I could have done for my family, or myself.” He was burning the candle at both ends, working twice as much as he wanted to be working, and wasn’t seeing the growth and success that he dreamed of for so many years. Pressable has always done okay in the managed WordPress market, but never outpaced quick-growth and heavily funded WP Engine, or the first entry to the market, Pagely. But Pressable has not been in a position of strength for a really long time. Pagely, WP Engine, and Pressable were really the first three into the market of managed hosting — a market that now includes nearly every big name host. It’s fascinating to see the different directions they’ve gone since. WP Engine has raised nearly $40 million over the years and gone for scale (Automattic also invested in their Series A), while Pagely has bootstrapped the whole way and really hit their stride in the last couple of years with a move to the higher end of the market. Dozens of managed hosting companies exist today. The work these three companies put into the early managed market got the attention of the biggest players in the market, like GoDaddy and EIG (owner of BlueHost, HostGator, and many more). Pressable fought hard, and Vid’s exit from the company comes after a long road with many challenges. Pressable has long been on Rackspace infrastructure, as Vid had relationships with them going back a long time; that infrastructure suffered a few catastrophic outages from attacks that cost Pressable quite a few customers in January 2015, stunting progress. They nearly sold Pressable to WP Engine about two years ago, and decided against it at the 11th hour. The financing round last year was a period of rejuvenation for them, after a troubled period between the malicious attacks on their infrastructure and some internal issues, and the team was looking forward to new opportunities moving forward, including a potential focus on hosting catered for eCommerce with WordPress. Speaking to an agency owner with clients at Pressable, they told me they believe they, “always struggled to find their voice and audience in a space that quickly filled up.” I agree with the observation. Pressable’s revenues were under $2 million per year, and they have a team of about 10 people. Vid is no longer at the company; his last day was March 7th. It remains to be seen exactly what direction Automattic will take the company, though I presume it will continue business as usual for now, like they did after the WooThemes acquisition. While Automattic now owns the company, Matt Mullenweg made it clear to me that it’s not in their long term interest to be significantly involved in the traditional hosting business. Automattic is happy to be an investor in a number of WordPress-related companies and web hosts, and will continue to invest in the future. With Pressable we’ve unfortunately been forced to take a more active role to protect Pressable’s customers, employees, and our investment. Chris Lauzon, a Happiness Engineer at Automattic, has been temporarily working with the Pressable team to get everything in order, especially on the support side. Automattic continues to enjoy working with and supporting many great WordPress hosts, and we expect that Pressable will be able to operate fully independently in the future. We were at Pressable before moving to our current host (Dreampress) in 2014. They were a good managed WordPress host for the most part but it was time for us to go after they kept having server & database outages every other day. It’s sad to see that things have gotten worse for them since we left as we had seen potential in them. Hopefully, they’ll get back to where they were in the future. Mark my word, there is a day coming that all of us will be asking how Automattic become the WP monopoly. Good clear summary, thanks Brian. @Ben aw that seems a bit extreme. I’d say it’s perfectly legit for Automattic to protect their investment. They’ll be hoping to pull Pressable off the rocks, then recoup some costs by selling it off. And I don’t see anything wrong with Automattic investing/exploring the managed WordPress hosting space, especially in it’s earlier days. I see them improving Pressable from the ground up and maybe even changing the hosting packages available along with a fresh design in the future. When they get Pressable making a constant profit each month and it continues to rise, It would be wise to put the business in the hands of someone who has extensive knowledge about the web hosting business. The main thing is training all there existing support staff so they are real experts and who ever manages all the servers better get some training and look at getting the latest and greatest hardware.